Ah yes, Wood Road! 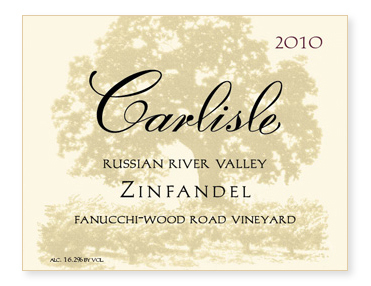 Surely one of the finest terroirs for old-vine Zinfandel in Sonoma County! I’ve drooled over the half dozen old-vine vineyards (Belloni, Chelli, Arata, Hartford, Rue, and Fanucchi) along this short stretch of road for years, dreaming of making a wine from one of them. But with most of the vineyards under contract with Hartford and Ravenswood, I figured I had the same chance as a snowball in hell. Nevertheless, in 2010 Lady Luck smiled upon me and Peter Fanucchi agreed to sell me a small amount of fruit from his vineyard planted in 1906. Bottled unfined and unfiltered. Only 20% new French oak.